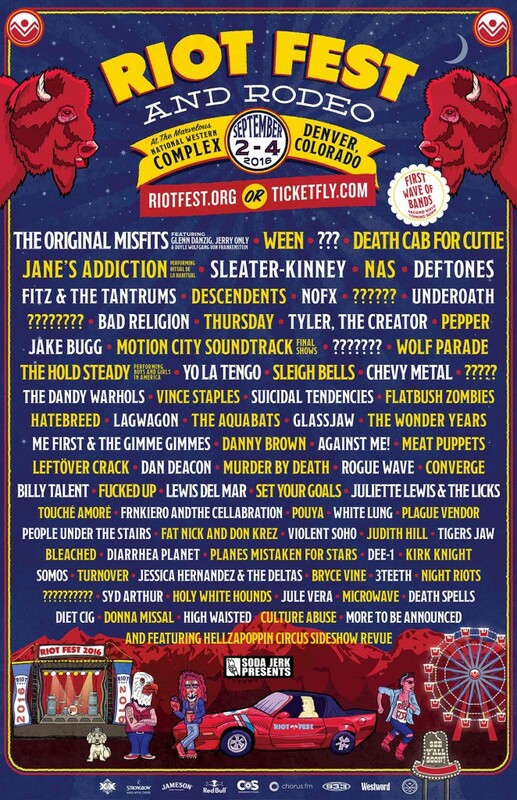 Nearly a week after announcing the reunion of the original Misfits lineup, Riot Fest has released the first wave of their Denver (Sept. 4th-6th) and Chicago (Sept. 16-18th) Rodeo/Carnivals. 3-Day GA and VIP Tickets for Riot Fest and Carnival at Douglas Park are available here. 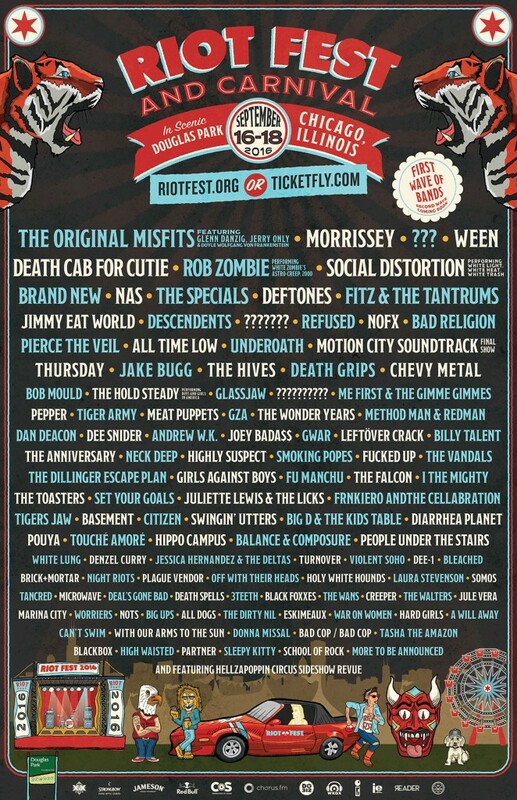 3-Day GA and VIP Tickets for Riot Fest and Rodeo at the National Western Complex here.